Over 45,000 visitors of EUROBIKE, the world’s biggest fair in the bicycle industry, had the opportunity to catch up with FAZUA and its revolutionary evation drive system. This was the first year that FAZUA provided test bikes to showcase the system at their demo booth. Meetings with current clients and potential new customers were as important for FAZUA as recruiting service partners and presenting the evation drive system to end consumers. "As a company, we´ve now reached a point where we can look back with pride and look forward with great confidence. 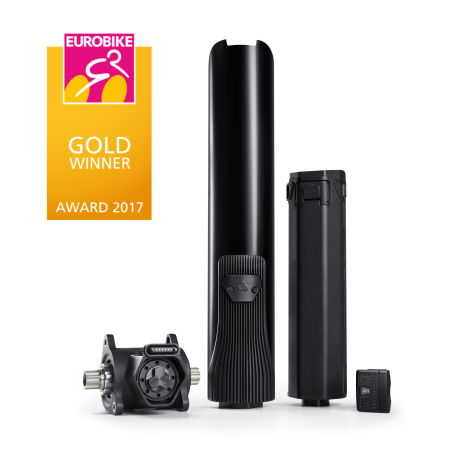 This award shows that we hit the nail on the head with the evation drive system regarding the zeitgeist, the needs and the tastes of the bike industry. This is a path we are very keen to continue. Apart from that, I think I speak for all FAZUA founders, when I say the system would have been nothing but an abstract idea without our strong, professional and extremely ambitious team that FAZUA has become." "Integration is currently the magic formula for innovations in the eBike segment. One company that provides the best possible conditions for this is the young drive producer FAZUA: FAZUA is creating an entirely new segment with its evation drive system. The battery and motor can easily be removed so that a normal bike remains. Lightweight design and ease of handling are further award-winning features of the evation drive. 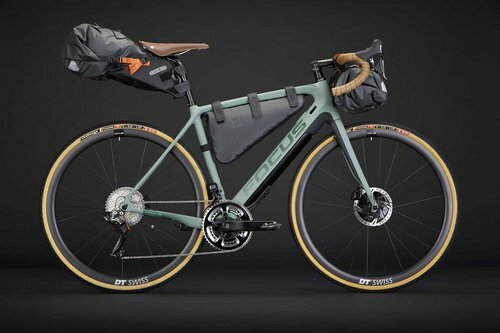 A number of bike producers have already come to the same conclusion and are using the system in their pedelecs – including those intended for the road bike segment." "With its Project Y, the sporty bicycle manufacturer Focus has shown a new perspective in the racing bike market, where members of the Award panel also see great potential: Until now, the trend towards electrification had largely overlooked road bikes. We are convinced that this is set to change with Project Y. The future trend is already apparent in the prototype with its inspired design and integrated evation drive." FAZUA is very proud to announce that the first bikes with the evation drive system will be entering the bicycle market in model-year 2018. 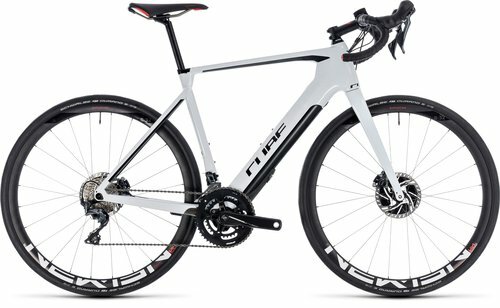 Manufacturers that have already presented their bikes with the unique drive system are: Cube, Focus, Bianchi, Fantic, and Maserati. All of these brands are notably strong with a lot of tradition and experience. 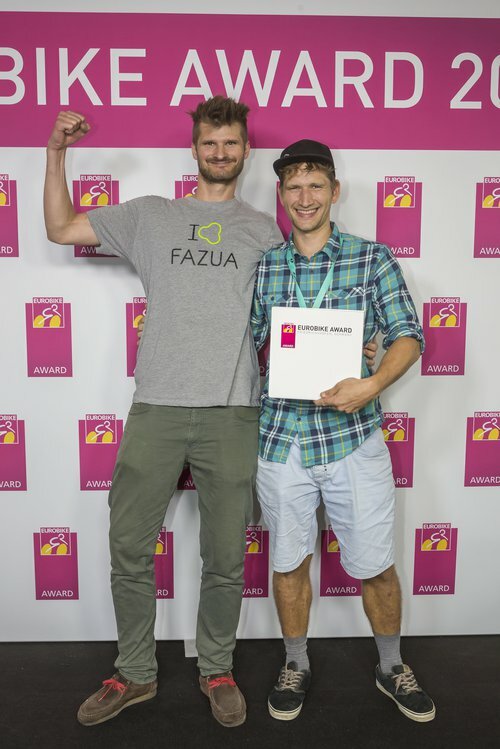 Those who are familiar with FAZUA already know that the company from Munich does not tend to rest on their laurels. For this very reason further exciting cooperations with other leading companies are to be announced. Further details on which projects the branch will be facing in the future can not yet be revealed, but one thing is certain: The FAZUA success story will continue as a result of strong demand and will see growth in its personnel and size. FAZUA´s latest eye-catcher was presented to the visitors of this year’s EUROBIKE in Friedrichshafen: Three bikes with the FAZUA evation drive system which well-known motor-bike builder Philipp Wulk developed in cooperation with two artists. The bikes are unconventional, aesthetic and unique, just like the drive system itself. Thus, the cooperation makes perfect sense. It all started when Philipp was looking for a commuting alternative to his motorbike. He quickly stumbled across the FAZUA evation drive system. It was not only the technical aspects that convinced him, but it was especially the design and the slim shape of the Drivepack that inspired him. When meeting the FAZUA crew, it quickly became evident that everyone was enthusiastic about working on an art project together. Besides his job at the custom bike garage impuls.xyz, Philipp, who also works as a lawyer, recruited the expertise of two special artists. 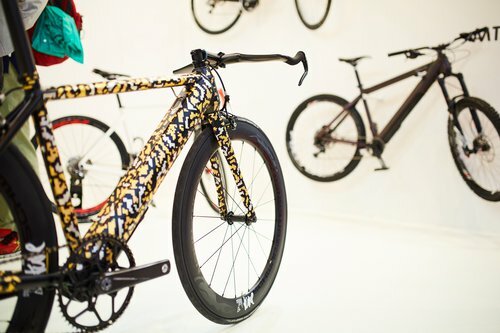 Fabian Gatermann decided on a paintwork of gold foil and white gold in pixel-camouflage patterns, whereas the artist Florian Huth worked with a pattern consisting of reflector stickers, making the bike an eye-catcher by night and when spotlights are directed on it. The components of the bike were mostly sponsored by high-class manufacturer, tune and high-end brakes and fork specialist Magura. Both companies joined the project from the very beginning. The bikes received enormously positive feedback at EUROBIKE. Due to this success Philipp is already planning his next projects with bikes of the FAZUA partner bicycle manufacturers. "There are specific plans about future projects with partners of FAZUA who are already developing bikes with the evation drive system. The unique and aesthetic design allows the manufacturers to create the most elegant frames in the eBike market. The combination of great design, art and technology ahead of its time is what fascinates me and inspires me for future projects,” says the creative bike builder from Munich, Germany. Further Details can be seen at impuls.xyz. FAZUA was founded in 2013 in Munich, Germany. Since then, the Bavarians have followed their goal of revolutionizing the eBike market. The team around CEO`s Johannes Biechele and Marcus Schlüter present an innovative e -Bike drive system which is directed towards sportive demands and, at the same time, creates a natural feeling of non-motorized bike riding. One of the many reasons why bicycle companies rely on the FAZUA evation drive system is a special clutch that separates the motor and bottom bracket when riding faster than 25 km/h. Riders can then pedal without feeling any resistance from the motor, using only their muscle power. With the FAZUA evation drive system, sportive riders only gain support when they need it most. So whenever starting or when facing uphill passages or headwinds, the system smoothly supports the rider. A further unparalleled feature of the evation drive system, besides its light weight and the almost invisible integration within the frame, is its exceptional natural riding feeling with support. The Drivepack can be added and removed with one click to allow a quick switch from a bike to a pedelec whenever you want.